In today's competitive Shipping market, every minute counts. Quick despatch of the vessels in port is a major concern to every Ship Owner and may be the crucial factor deciding whether a voyage is profitable or not. Sea-Concert, with its dedicated and experienced staff are aware of this fact and offer reliable and efficient agency services in all Thai ports - whether you require a full agency or only husbandry services; whether your ship carries bulk cargo or heavy lifts and project cargo. Each call is carefully prepared - from the necessary documentation over proper co-ordination with all parties concerned to preparation for cargo operations. Every vessel under our agency is assigned to a boarding clerk who stays in touch with the ship - around the clock - from arrival to departure. Modern means of communication, accessible 24/24 hrs, 7 days a week, facilitate information flow and make sure that the Ship Owner is kept fully informed of any progress or development at all times. 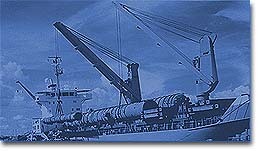 Transhipments within Thai waters and along the Eastern Seaboard can be arranged through our lighter devision. At Sea-Concert we believe, that agency work requires being permanently alert to potential problems. Extensive local knowledge paired with the decades of experience of our agency professionals permit us to identify most potential problems in advance and deal with them - before they occur. Flexibility and experience enable us to propose the most suitable solutions to our principals for unexpected problems and enable us to solve them within the shortest possible time and as economical as ever possible.